10 Ways To Use Apple Cider Vinegar. I’ve mentioned many times on my facebook page how great raw apple cider vinegar is for your health. However, almost every time I post about it, a reader asks how to use it. 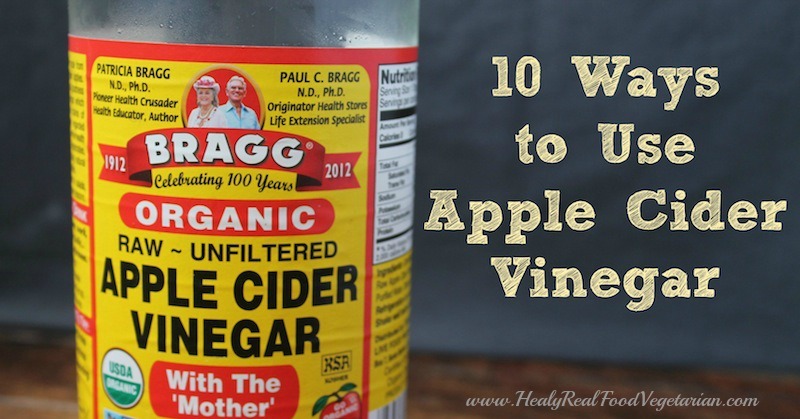 Apple cider vinegar can be used for so many things, find out the 10 best ways to use it…. It seems to me that a lot of people have heard that ACV is good for you, but they don’t quite know how to incorporate it into their lives. After all, it is vinegar, so you can’t just chug it straight from the bottle…yuk! This article will give you 10 different ways to use this miracle elixir! But first, let’s talk about WHY you should be using apple cider vinegar. The benefits to raw apple cider vinegar are many. Apart from containing many beneficial vitamins and minerals, apple cider vinegar also contains acetic acid, potassium and malic acid. It can help regulate blood sugar, aid digestion, build muscle, clear skin, reduce bad cholesterol, prevent sickness with its antiviral properties, help remove toxins and aid in weight loss. It is also an alkalizing food, so it helps your body maintain good PH levels. When choosing apple cider vinegar, you should always get raw (unpasteurized) with the mother like this one to ensure you will get all the benefits from it. If you want even more ideas, this book is less that $4 and has a bunch of great tips on how to use apple cider vinegar for natural cures. 1. Drink 1-2 tablespoons ACV diluted in a glass of still or bubbly water with a teaspoon of raw honey like this (optional). You can also buy ACV drinks at some health food stores, I love this brand with added cinnamon–it tastes like apple pie in a bottle and it’s good for you too! You can also make a drink with ginger like this recipe. 2. Use ACV in place of balsamic vinegar in salad dressing. 3. Add 1-2 teaspoons ACV to your morning smoothie. Start with one teaspoon and work your way up to 1 tablespoon. It is vinegar and can have a strong flavor, so be careful not to start with too much. 4. Use it as a facial toner to improve complexion and restore skin’s natural PH. 5. Use it to naturally treat dandruff. 6. Heal your sunburn quickly and naturally. 8. Use ACV to soak your beans, legumes or grains to reduce phytic acid and make them more easily digested. Simply cover a pot of dry uncooked beans with filtered water. The water should come well over the top of the beans (they will expand), then add 1 tablespoon of vinegar per cup of beans to the water. The acidic medium helps reduce the anti-nutrients in beans that block absorption of vitamins and minerals. 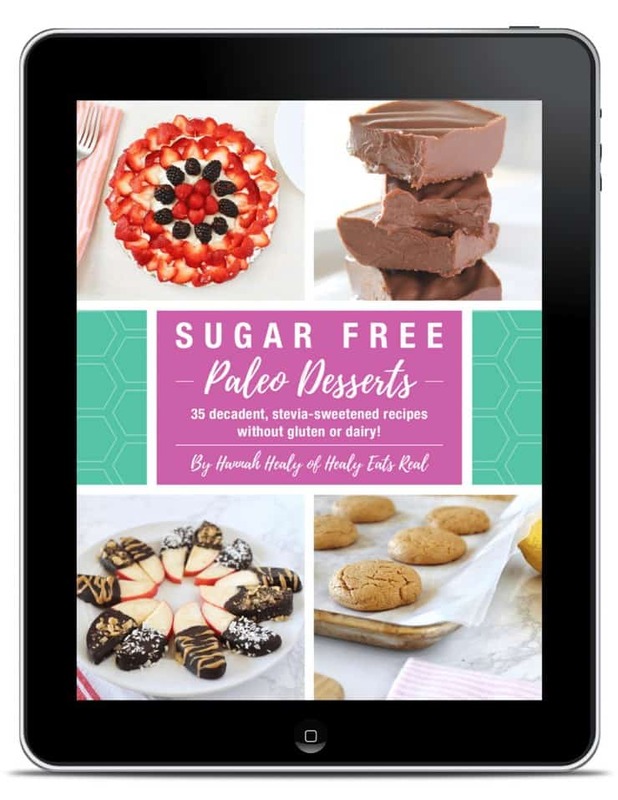 To learn more about how to properly prepare beans, legumes and grains and for healthy recipes, check out my ebook Gluten Free Vegetarian. 9. Use ACV in your bath. Add ½- 1 cup to your bath water along with epsom salts and lavender essential oil for a relaxing and detoxifying bath. 10. Help treat yeast infections by adding 1 cup ACV to your bath or by adding 1 tablespoon to your water in the morning. 11. BONUS! Use it to help with heartburn. Contrary to popular belief, heartburn is a result of too little stomach acid…not too much. Many people find relief from their heartburn from having 1-2 tsp of ACV in a small glass of water right before eating. Do you have any other ideas for how to use apple cider vinegar? I’d love to hear them! Please leave a comment below! I dilute it 1:1 with water and use as a rinse before shampooing to remove buildup + add shine. OR i just use that solution as the shampoo, then apply conditioner. works great! Once you get the results, maybe a local doctor will help you get the treatment you need. My daughter contracted worms and became thin, lethargic, and deathly ill with stomach pains and noxious gas before we zeroed in on what it was. Her regular doctor was too passive then went out of town for a few weeks so we acted on our own. We gave her a tablespoon of food grade diatomaceous earth dissolved in juice or a smoothie morning and night. We continued it for two weeks to cover for new eggs, etc.. She passed them in her stool, her health bounced right back and she’s been clean since. This is true, You should look up and read about Diatomaceous Earth. Great uses for many things. Be sure to buy the Food Grade. Fresh Green Black Walnut Wormwood Complex. Find it at a health food store. Try using cinnamon essential oil… it kills all kinds of bacteria, parasite, mycoplasma, fungus, virus, etc. There is a particular one to use and you can read all about it in the following site: http://www.lyme-symptoms.com/Essential.oil.html. Good luck. I suggest checking out a product called MMS..Miracle Mineral Solution by Jim Humble. It is a wonderful product that kills pathogens. Just google…but make sure you are researching the MMS product as I think there is something else out there that uses those initials. Good Luck getting rid of the bugs in your gut. Also it thins your blood, it is good for leg cramps. put 1 tablespoon in either juice or water and drink for leg cramps. it works i have done it. We love ACV and drink a shot before our dinner to aid with digestion. Love your post! Thoughts on using while pregnant? I just had a miscarriage and used throughout the first 3 months now wondering if I could have gotten listeria from it being raw? Looked online but no definitive answers. Also website for braggs does say its fine during pregnancy. Any insight? There are a number of reason that miscarages happen and your loss saddens my heart. The chance that it was the ACV is unlikely however and could have been anything. You and your partner might not have been healthy enough to produce a child to term (yes the mans health effects this as much as the womans) you could have gotten an infection, the baby might not have formed correctly, many many other things. Sadly miscarriage is more common then most women talk about in western society since there are so many stressors in our life. Look to you and your partners health and wellbeing and if need be when you wish to have a child again go to a wholstic fertility specialist before doing so. They’re amazing at what they can do for you and your unborn little one. I am so sorry for your loss! I’ve had several miscarriages and it’s a terrible thing to go through. (I suffered severe preeclampsia and HELLP syndrome during my last full term pregnancy and as a result, have not been able to carry full term since then) I have never heard of ACV causing a miscarriage, although I do a lot of research on the subject, but can’t say conclusively. I usually use ACV every morning to prevent colds/flu, with great success. Now that I am pregnant again, and was having severe morning sickness, I read it was recommended to take ACV at night, with a high protein snack, to prevent morning sickness. So far, it’s working very well- better than my usual ginger. Peace! I add a couple of tablespoons to my green smoothie. It helps to balance the sweetness of the fruit, adds a nice zing and I know I’m doing something good for my gut. Make a fruit fly trap! Put a thin layer of acv in a cup. Then put a drop of dish soap and stir. Set it out on the counter and the fruit flies will fly in and get stuck! I’ve suffered from eczema my entire life and never heard this! Will try it immediately! Thanks for the tip. It gets rid of cat urine smell too! If you have a cat that has urinated on clothing, blanket or what have you just launder the item as usual but add a cup of ACV in addition to your detergent. It works! I like to make a strong ginger tea and add ACV. They both have a kick! And once refrigerated, they make an excellent refreshing tonic! I’ve been drinking ACV for years. A while back I came down with a bad case of shingles. In addition to drinking, I used an ACV soaked cotton ball to saturate the lesions several times a day and they healed within 3 weeks. Dr. was pretty amazed. The Dandruff link doesn’t work. I think this is the one that was intended http://www.hugatreewithme.com/homemade-apple-cider-vinegar-pre-shampoo-dandruff-treatment-recipe/ ? Can a person be allergic to ACV? My daughter is allergic to ACV. She cannot tolerate the salycilates in it. I am sure there are other reasons one could be sensitive to it. I use it for many skin and health issues with great success though. I have a small spray bottle filled with ACV on my kitchen counter, along with a small plastic shaker bottle (the one used for sprinkling powdered sugar on sweets), and use the combo on plastic cookware that won’t get clean with regular soap and water. Been using ACV for a few years now. My husband takes a spoonful every morning! I’m prone to eye infections, and have never used antibiotics. I boil about a cup of water, let cool a bit, add 1-2 T of ACV, use cotton ball or whatever dipped in and rinse both eyes about 3 times a day. Yes, it stings a bit, but ohhhhhhmg, that infection is history in about 2 days! Awesome post! I’ve only used apple cider a few ways before but this opened my eyes to the many uses of it. Thanks. ACV gets rid of molluscom (you know what it is if your kids have had it). dip a cotton ball in ACV and place it on the molluscom under a bandaid over night . do this for a few nights and they should disappear. Worked amazingly well for us when nothing else would. It also works on plantars warts. Hello. I thought my child was the only one who got molluscums. After many expensive doctor visits and expensive prescribed medications, one doctor suggested, and the least expensive cure was over the counter, a combined use of hydrocortisone 2% cream/ointment, and Aquaphor. Keep using together on affected area and soon they shrink and fall off. I am trying hopefully to help arthritis. I don’t like it in water or with honey added but I enjoy it just by the tablespoon; is this safe or okay? regarding number 8. above for uses, after soaking the beans in the AVC overnight, I assume I pour out the initial water soaking water with the AVC and cook as normal. Or, do I then add the same amount (1 tblspn per cup of beans), again to the water for cooking? Does anyone have experience with this application? After soaking, pour out the initial soaking water with the vinegar in it and cook as normal–no vinegar needed for cooking. You can use this stuff to remove moles. It’s pretty strong used neat! I could see how it would cause irritation. I got some ugly burns around a mole I removed with ACV. Just be careful before starting to use it, even diluted. Also, if it’s acidic, how can it be alkalizing? I know this sounds silly but I am married to a water heater specialist and apparently ACV can be used to get rid of scale and lime deposits in water heaters….who knew!!! Wow! That’s interesting, thanks for sharing Claudia! I need to get my hands on some of this as I ave constant dandruff and a flay, sometimes lumpy scalp. 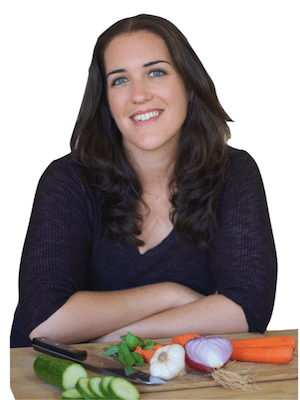 why use pasteurized ACV instead of just what I can buy at the grocery store? You should not use pasteurized ACV. As is says in the post, raw ACV is best because it contains natural beneficial bacterias whereas pasteurized ACV does not because it is heated and kills the bacteria. I think I asked my question incorrectly. I’ll try again. Does ACV from the grocery store work just as well as ACV from a health food store. You know, just the same old kind I would put on a salad. 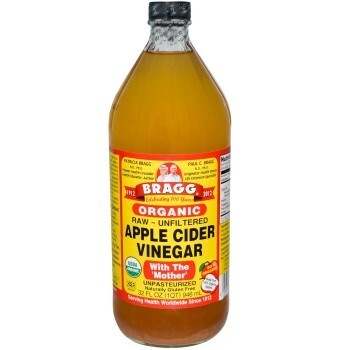 Most grocery stores now carry the Braggs RAW Apple Cider Vinegar which is the best kind. No need to go to health food store if your local store has it. Put 2 drops of ACV in what ever your drinking. Really give you energy and good for better blood flow!! Use to treat thrush when nursing. ACV 1:1 with very warm water applied to a rag, 3x daily. Use compress on breast. Wipe babies mouth, if infected, with same solution (cooled!!). We are living in the Philippines for half a year (1 month in now), and we both had some pain behind our eyes and were feeling tired for some days now and then. We found out the water we drank was purified in so many ways. 21 processes they wrote on the bottle. We started to add about half a table spoon in each container of 1000 ml. We drink about 6 of them a day.. each of us. Now our question is.. is that too much? As a mouthwash, and a gargle for sore throats. I have a cup of green tea every morning and I put a slice of lemon in it along with 1 teaspoon of honey and 1 teaspoon of apple cider vinegar. I down it like a shot. My grandmother and mother swear by it, for losing and maintaining weight. I will see if it works for me. Don’t forget to use it for your cat or dog’s health. Please research on your own how they benefit from Apple Cider Vinegar, as the details are long. I think that it also benefits horses as well. Apple Cider vinegar will remove warts. Apply a gauze or cotton soaked in ACV apply tape, band-aid or wrap to hold in place. Keep moist for 5-7 days replacing as needed. Wart will be gone in this time in most cases. I was tested for food allergies and was told not to ingest anything fermented like vinegar and am also gluten, wheat, and yeast sensitive. I have been avoiding vinegar but would apple cider vinegar with the mother help me? I would get yeast infections when I was younger (now 49) but now I am reading that ACV is good for that! Please advise. I made apple cider vinegar this past fall, but I pasteurized it and bottled it about Christmas day. it tastes very tart. I did not test it for pH. before I pasteurized it, it was still making a new layer of mother 2 or 3 days after I stirred it. did I not wait long enough before bottling? it doesn’t seem to still be working after pasteurization. I was afraid of building up too much pressure in the jugs/bottles or afraid of it spoiling if I did not pasteurize. I would love to make some unpasteurized next year, if I’m allowed to. what process should I follow? any advice from any of the followers of this blog? I got a really narley sinus infection last week. Bright yellow mucous and sinuses full and post nasal drip. First day I used OTC meds that didn’t help. I drank a cup of warm water with a tablespoon of acv and teaspoon of honey twice the next day. I also flushed with a netty pot twice. On the third day I woke up and 80 percent relief! Just the sinuses draining at that point. I kept it up on the third day and was cured by the fourth. That is a new record for me. Normally my sinus infections last 2 weeks but not with acv and sinus rinse! Please try it next time you get a cold! So much cheaper than day-quil that doesn’t work toward a cure. Hi. I know that I am tardy to the party, but I wanted to ask a question. I keep hearing about adding lemon to your water in the morning for great health benefits and now you’re saying do ACV. Is it okay to do both lemon and ACV in my water or is that too much acid and it might do more harm than good? I’m not sure if both would be too much. I like to put lemon essential oil in my water (which is not acidic because it’s cold pressed from the rind, but you get the same benefits). I only use young living though because store-bought brands are not for internal consumption. Gets rid of sore throat almost immediately.